GIVEAWAY DAY 12!!!! To celebrate the launch of our new forums we will be having 100 DAYS OF GIVEAWAYS! In addition, today’s Giveaway comes a brand new sponsor to our Girls of Fire Giveaways….Raven Firearms Training. 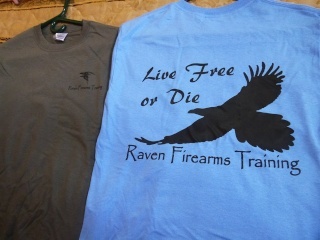 They have generously offered us a Raven Firearms Training T-shirt. Their business is to provide quality firearms training to all, but their women’s only courses are very well received. Please help me to show them our appreciation by stopping by their page and giving them some Girls of Fire love! 2. 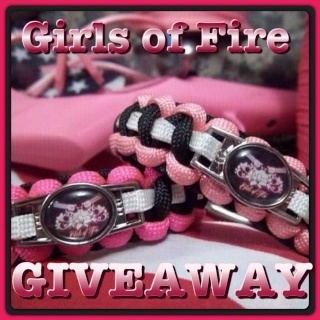 Share the news of our giveaway by posting this link http://girlsoffireusa.forumotion.com/t132-giveaway-day-12#494 in the status on your FaceBook page. Signed up!! Would love to win this one! !